Tucked away in a quiet corner of the Athenæum, the Children’s Library exists in its own world. It is a technology-free sanctuary designed to help children do what comes naturally: play, be silly, create, discover, and learn. 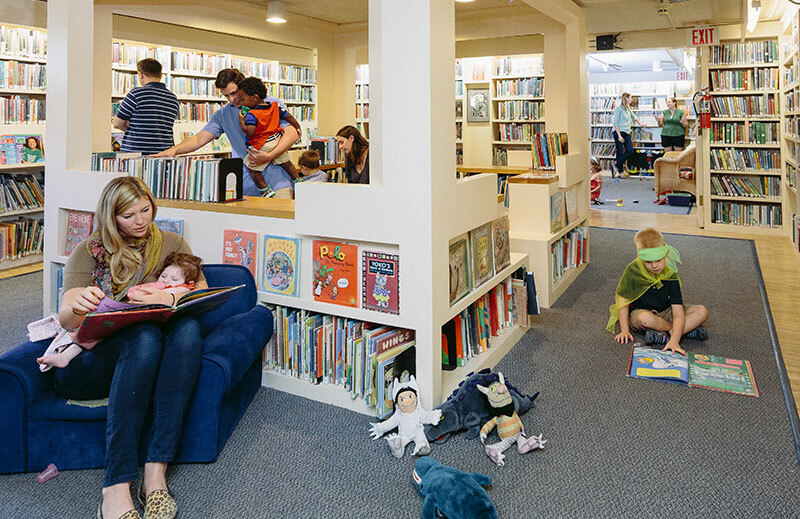 Behind glass doors and amongst mountains of books, puzzles, stuffed animals, art supplies, and games, the Children’s Library is a place that kids can confidently call their own. The majority of children’s and family programming is free and is always open to the public. Certain children’s programs require reservations and will be so noted. To avoid disappointment it is strongly suggested that parents call or email ahead to sign-up. Borrowing from the collection is a benefit for members. To learn more about membership, please click here. The Children’s Library staff is here for everyone who needs assistance in selecting or learning about what is available to young readers. We are always happy to provide reading lists when available. Educational or school visits are welcome by appointment. Please contact Lindsay Shaw, Children’s Librarian for details (401-421-6970 x17; lshaw@provath.org).